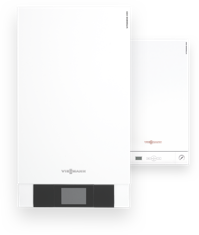 The comprehensive range from Viessmann covers every demand for innovative heating technology. Within the Vitoplex family, you can find the exact solution to suit your needs in terms of building services, convenience and budgetary constraints. The versatility of the Vitoplex family, which in terms of technology and price is available in the 300 and 200 categories, ensures that the perfect solution is available for every demand and budget. 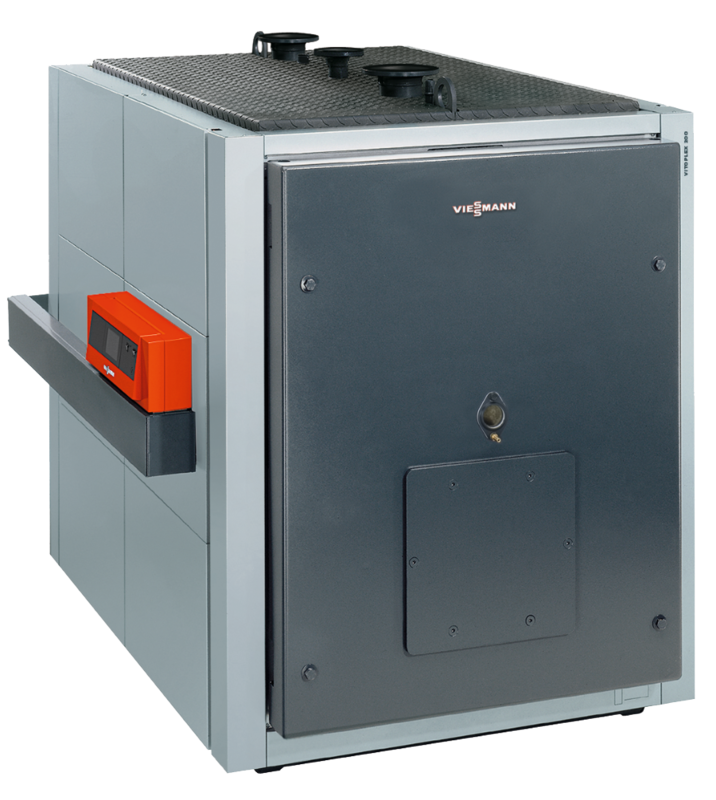 All products have in common the top quality for which Viessmann is renowned. 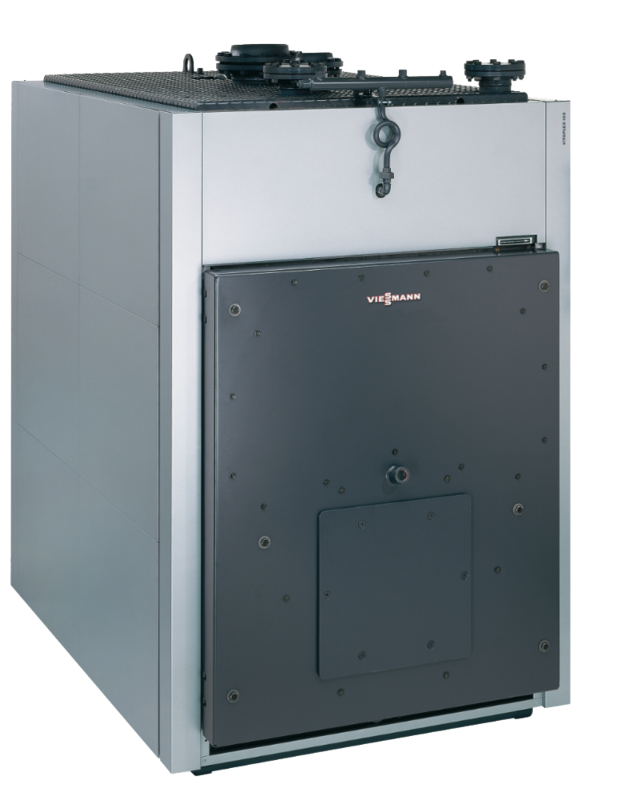 The Vitoplex family of low temperature oil/gas boilers offers environmentally responsible and clean combustion thanks to the advanced three pass technology and low combustion chamber loading, resulting in clean combustion with particularly low nitrogen oxide (NOx) emissions, ensuring that the boilers perform well within existing limits, as well as being ready for increased restrictions that may be introduced in the future. Economical and safe operation of your heating system is ensured by the digital Vitotronic control unit with communication capability. The Vitotronic 300-K is a particularly powerful version for operating multi boiler systems comprising up to four individual boilers with modulating boiler water temperature. It can control heating systems with one or two heating circuits and optional mixer. Further heating circuits with mixer can be regulated by the Vitotronic 200-H, allowing up to 96 additional heating circuits to be controlled. The integral diagnostic system and programming unit with plain text and a backlit display make for exceptionally convenient operation. External devices are connected easily via system plugs. Standardised LON technology enables complete integration into building management systems. Remote monitoring is possible anytime via internet TeleControl with Vitocom and Vitodata.